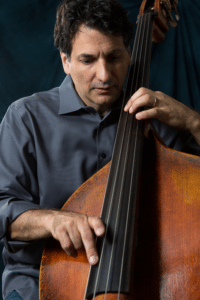 LiveConnections presents legendary bassist and two-time Grammy winner John Patitucci with the renowned Daedalus Quartet, currently in residence at the University of Pennsylvania. Commissioned by LiveConnections, Patitucci will be writing new music for string quintet (the Quartet plus himself), as part of a program fusing jazz and classical styles. 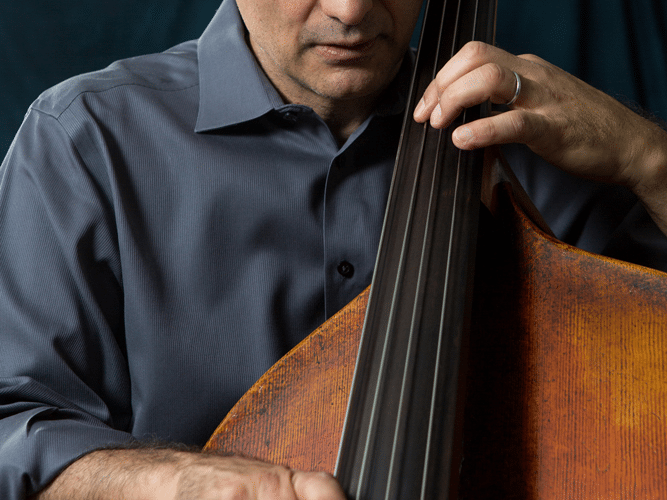 JOHN PATITUCCI has been at the forefront of the jazz world for the last 30 years and active in all styles of music. He is a two-time Grammy award winner, has been nominated over 15 times and has played on many other Grammy award-winning recordings. John has performed and/or recorded with jazz giants such as Dizzy Gillespie, Wayne Shorter, Herbie Hancock, Chick Corea, Stan Getz, Freddie Hubbard, Roy Haynes, Wynton Marsalis, Michael Brecker and countless others, and is a long time member of the Wayne Shorter Quartet. He has been active as a composer has been commissioned to write for various chamber music groups. He has performed as a soloist with the Swedish Chamber Orchestra, the Estonian National Symphony, the Scottish Chamber Orchestra, the Trondheim Symphony of Norway, the St. Louis Symphony and the London Symphony Orchestra. 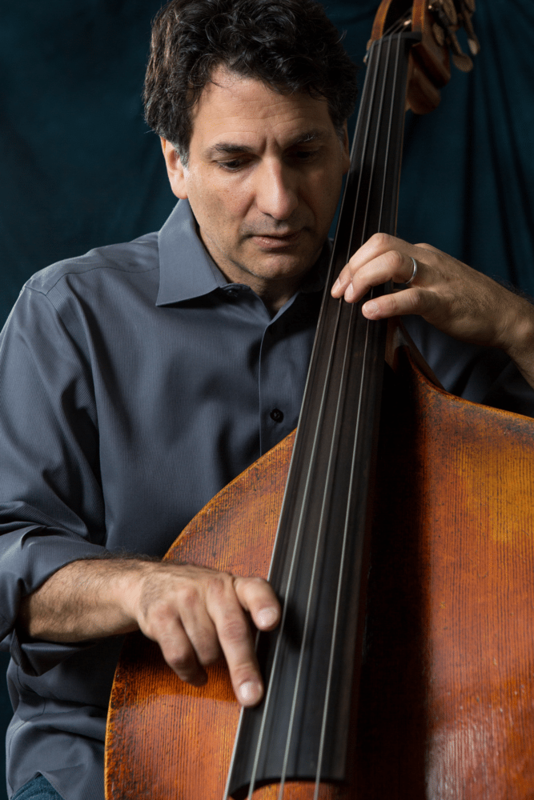 He is currently a Visiting Scholar at Berklee College of Music’s Global Jazz Institute and also hosts an interactive online bass school through Artist- Works (artistworks.com). In 2015 John released his 14th solo CD, entitled “Brooklyn,” with the John Patitucci Electric Guitar Quartet, featuring Adam Rogers and Steve Cardenas on electric guitars and Brian Blade on drums. A documentary entitled “Back in Brooklyn” was filmed during the recording of “Brooklyn” and is currently being screened. In addition to his own groups, John continues to tour with The Wayne Shorter Quartet and a new trio, Children of the Light, featuring Danilo Perez on piano and Brian Blade on drums. Children of the Light released their debut CD as a group in September 2015. Learn more at http://www.johnpatitucci.com. DAEDALUS QUARTET. Praised by The New Yorker as “a fresh and vital young participant in what is a golden age of American string quartets,” the Daedalus Quartet has established itself as a leader among the new generation of string ensembles. Since winning the top prize in the Banff International String Quartet Competition in 2001, the Daedalus Quartet has impressed critics and listeners alike with the security, technical finish, interpretive unity, and sheer gusto of its performances. The New York Times has praised the Daedalus Quartet’s “insightful and vibrant” Haydn, the “impressive intensity” of their Beethoven, their “luminous” Berg, and the “riveting focus” of their Dutilleux. Since its founding the Daedalus Quartet has performed in many of the world’s leading musical venues; in the United States and Canada these include Carnegie Hall, Lincoln Center (Great Performers series), the Library of Congress, the Corcoran Gallery in Washington, D.C., and Boston’s Gardner Museum, as well as on major series in Montreal, Toronto, Calgary, Winnipeg, and Vancouver. Abroad the ensemble has been heard in such famed locations as the Musikverein in Vienna, the Mozarteum in Salzburg, the Concertgebouw in Amsterdam, the Cité de la Musique in Paris, and in leading venues in Japan. The Daedalus Quartet has won plaudits for its adventurous exploration of contemporary music, most notably the compositions of Elliott Carter, George Perle, György Kurtág and György Ligeti. Among the works the ensemble has premiered is David Horne’s “Flight from the Labyrinth,” commissioned for the Quartet by the Caramoor Festival; Fred Lerdahl’s “Third String Quartet,” commissioned by Chamber Music America; and Lawrence Dillon’s “String Quartet No. 4,” commissioned by the Thomas S. Kenan Institute for the Arts. 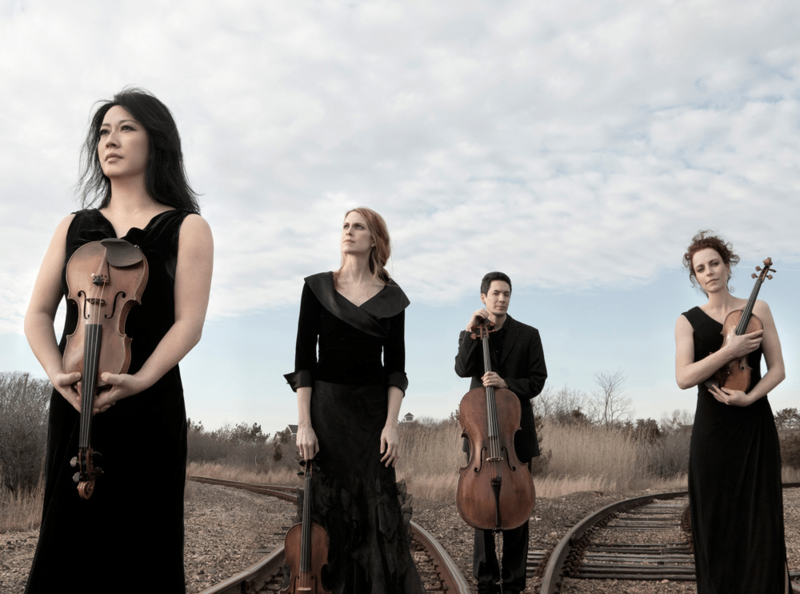 The Daedalus Quartet has served as Quartet-in-Residence at the University of Pennsylvania since 2006. Quartet members are Min-Young Kim and Matilda Kaul, violins; Jessica Thompson, viola; and Thomas Kraines, cello. Learn more at http://www.daedalusquartet.com.